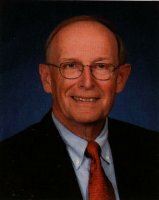 John W. Percy has spent over 50 years as an educator and writer. He taught for the U.S. Army Signal School, City of Tonawanda Junior and Senior High Schools, The Millard Fillmore School at the State University of New York at Buffalo and at Canisius College. He has also taught courses for The Buffalo and Erie County Historical Society, Elderhostels at D'Youville College and The Center for Renewal at Stella Niagara and teacher centers at Kenmore-Tonawanda and Tonawanda - Grand Island schools. Mr. Percy has served as historian for the Town of Tonawanda and the Village of Kenmore since 1969, revitalizing the Tonawanda-Kenmore Historical Society and publishing five books about the history of those communities. He has presented a wide variety of historical programs to several hundred community organizations throughout Western New York and in Ontario. Mr. Percy's lifelong interest in geography and many years of research and writing have resulted in this publication, the first of its kind in over sixty years. He resides with his wife, Donna, also a published author, in the Town of Tonawanda.